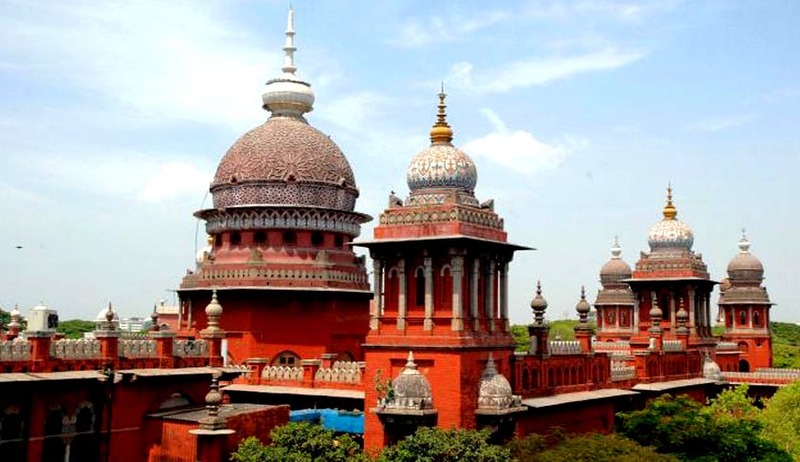 Madras High Court on Monday directed the State Government to take action against the continued disruptions being witnessed within the Court premises and initiate declaration of the High Court as a High Security Zone. It has also demanded that the High Court, Principal Seat as well as the Madurai Bench should be brought under the security cover of Central Industrial Security Force (CISF) or any other similar force. Taking note of the deteriorating disciplinary situation within the Court premises, the Bench observed, “This is necessary for a smooth functioning of the High Court, as continuance of such incidents, as we are witnessing today, are not only destructive and disrespectful towards the Court, but affects the very ability of the Court to dispense justice. It sets a bad example for the other litigants who attend in person and dilutes the authority of the Court.” The matter has been directed to be listed on September 18. According to the Court order that narrated the events that ensued on Monday, several lawyers had occupied the Court hall, holding placards and demanding Tamil as a Court language. It has also been reported that they protested with their mouths covered with black cloth, under the banner of Tamils Struggle Movement of Madurai. The office of the Chief Justice had already been warned of the perceived possibility of such a situation and hence, the local police authorities had been duly informed. The bench, comprising Chief Justice Sanjay Kishan Kaul and Justice T.S. Sivagnanam however noted that the Police authorities could not even prevent the entry of the people not in robes and children. The Court tried reasoning with the mob, but to no avail. Taking suo motu cognizance of the incident, the Bench noted that this was not the first time that the functioning of the High Court or the First Bench was sought to be distracted. The problem is far more aggravated in the Madurai Bench of the Court, it said, where there have been such periodic incidents of advocates taking out processions, entering Court and disrupting proceedings, using hand-held microphones and even occupying the Chamber of the Puisne Judges. Additional Solicitor General G Rajagopalan, who was present, submitted that it had become routine for a section of lawyers to protest like this. “This is not the first time they are doing. They have been doing it outside, now they have come inside... even though police attempted to stop them, they came inside saying they are advocates and cannot be prevented from entering the court,” Rajagopalan said. The Police, it said, was often reluctant to take any action, due to “past history of confrontation between the lawyers and the Police”. This is as the ghost of February 19, 2009 advocates-police clash on the Madras high court premises returns to haunt all. More than 50 lawyers and several policemen besides a HC judge were injured during the unprecedented violence. Following this, in October, 2009, the Court had held Chennai Police Commissioner K. Radhakrishnan responsible for the “imprudent act”. The Court then took note of the guidelines issued by the Government of India, Ministry of Home Affairs, as far back as 31.05.2007 / 04.06.2007, for security of High Courts and District and Subordinate Courts in the country to Chief Secretaries and Directors General / Inspectors General of Police of all States and UTs. Para (v) of the Guidelines provide that the High Court in the respective States / UTs should be declared as High Security Zone. Noting that the guidelines have not been implemented by the State Government, the Bench issued directions to initiate implementation of the same. The Court then referred to the meeting held on July 7, 2015, by the Security Committee constituted by the Chief Justice of the Court. As per its minutes of the meeting, the Committee had advocated for CISF cover for the High Court. This view was supported by the Police authorities as well, in view of the “continuing police-advocates altercation and the strained relationship between the two”. In view of the several incidents listed down in the ACP’s report, the Security Committee resolved to bring the High Court, Principal Seat as well as the Madurai Bench under the security cover of CISF. In view of the prevailing situation in the Court, it took suo motu cognizance of the matter and issued notice to the Chief Secretary, Government of Tamil Nadu and the Principal Secretary, Ministry of Home Affairs, Government of India. Twelve advocates, including two women were later arrested for staging the protest.